Discussion in 'Chez Ziggy' started by Tricia, Jul 31, 2017. Instead of posting all of the daily interest in The Open thread, how about we hang out in a Golf Talk thread? To start this round, Rory is in the news. Turns out he and his caddy are going their separate ways. The Golf Channel has an interesting take on it. Obviously the relationship between a caddy and a pro is important. What kind of ramifications does this have on Rory, or pros in general? 1. A Tournement with the Pro's, Seniors and Women...all playing from thier respective tee boxes...I think that would be interesting. All have shot double digits below par but lets see how they do it against each other. 2. "Hack/Weekend Warrior Rules", this could a fun made for TV event. Find an average 6,000 yard Municipal, bring 4 pro's and let them play by hacker rules. 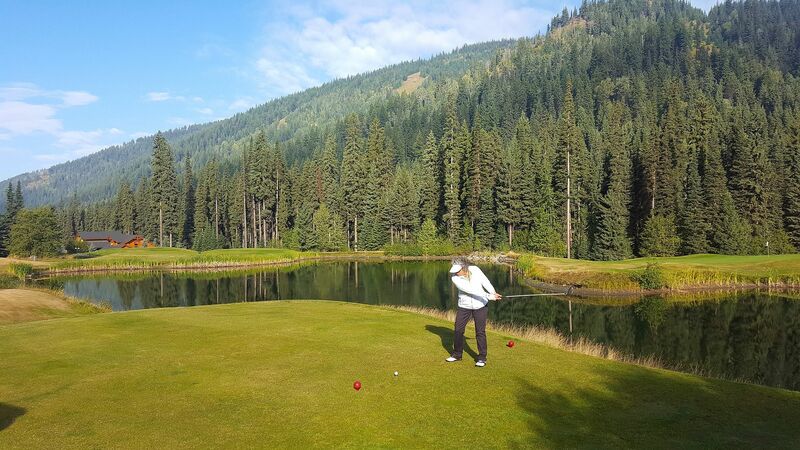 Play from the whites, move the ball, a mulligan a side and gimme putts (w/in the grip). This would humble the average guy who shoots in the 90's and these guys shoot sub 60's on their course. 3. A High Stakes Skins Game, but each golfer puts up their money, 1 million dollars...or better yet, 5 million to play. To play for $20 Million? Lets see the nerve then. Funny, had a conversation this evening with a top golf journalist, we agreed that a 3 handicap or better can't break 80 on a course set up for a tour event. Most would struggle to shoot 85 actually. This would be even worse for a US Open type setup. Apples and oranges trying to compare a tour professional to a "humble average guy". The differences are beyond the "average" guy's wildest dreams. Think of a mildly overweight 5'9" 40 year old office worker trying to play 1 on 1 against Michael Jordan in his prime. Remember a -3 handicap player subtracts 3 shots from his score, while a top tour pro would be a +8 to +10 handicap, so there is an 11-13 shot difference per round. Those simple facts might be tough to swallow for a dude with a -3 handicap that thinks he has game. As for a high stakes skins game, putting up their own money, some would perform the same, others would not do as well with the element of losing what they have. I would love to see the top players in the world play a round with Bobby Jones era equipment (hickory shafts and whatever they were using for balls back then) and clothing, a round with Palmer/Nicklaus/Trevino era persimmon woods, blades and balata balls and tight fitting polyester clothing and a round with todays equipment. I think it would be really interesting to see how the modern swing works with the older equipment. Swings evolve to the changes in equipment. Jones had to deal with the soft shafts and torque of hickory. Persimmon/Balata have their own nuances. My take? Great players from whatever era would adapt to the equipment and still be a great player in any era. Bad Bob and Philpug like this. I had the displeasure of playing Merion in tournament conditions right before (or after) the U.S. Amateur was there. I stopped keeping score after 9, it was just not fun, I think I had one par and I was a high 80's low 90's player...from the whites. The course was so hard that my hosts (she was the wonen's club champ) apologized to me and was glad not to see me cry...I was close. The fairways were brought in and the heather was like 4' high. IF I hit the fairway it was even tough to keep it rilling off and when it did, even my caddy had trouble finding it...it was like "We watched it..it rolled in right there...where is it?" I am sure when they had the U.S. Open there, it was even more difficult. @PhilpugApples and oranges trying to compare a tour professional to a "humble average guy". The differences are beyond the "average" guy's wildest dreams. Think of a mildly overweight 5'9" 40 year old office worker trying to play 1 on 1 against Michael Jordan in his prime. Remember a -3 handicap player subtracts 3 shots from his score, while a top tour pro would be a +8 to +10 handicap, so there is an 11-13 shot difference per round. Those simple facts might be tough to swallow for a dude with a -3 handicap that thinks he has game. @Jed Peters got lambasted here for saying the samething about the "better" skiers here compared to World Cup skiers...Someone who has never put skis on has a better chance of skiing like 95% plus percentage of the skiers here than even the top skiers from here ever skiing like a World Cup Skier...I am not saying all, there are some great skiers here like a @Doug Briggs who was on the U.S. Ski Team but I am talking about on a general level. @PhilpugAs for a high stakes skins game, putting up their own money, some would perform the same, others would not do as well with the element of losing what they have. It would draw a pretty good rating and I bet we would see some damn intense golf. I bet there is, I have no illusions that they are the same. 40 year old (within recent past) mildly overweight, somewhat athletic hacker? Yup, that's me. Shoot 85-88 typically taking some of the typical hacker liberties. Shot 117. It was brutal. I ended up using sand wedge out of the first cut - it was all I could do with it. I dont think there's any way I could break 130 on a US Open set up course from the tips. With all that said, I'd pay good money, even PPV, to watch a hackers rules tourney on a typical club course. Put mics on all the players, add sandys and greenies and junk, lots of side betting. Maybe encourage it by having the number of side bets won decrease the overall score. It would be must see TV for me. When Pros' have 500+ yard par 4's. 300+ yard par 3's and 265+ yard carries to the fairway, it is a different game the Pros play. There is a video out there where some of the current PGA guys are playing with hickory shafts and the ball of that era. If memory serves , they were even playing "stimmies". Those guys were still pretty damned good. Given some practice time, and probably not too much of it, they would dial it in. Your big boy Skin Game would be very fun to watch. WAAY better than a poker game. Put it in Nevada somewhere, mike them up and roll the cameras; it would be a very interesting show. Something else that would be great to watch - take top 20 in the world, have them pick teams playground style, and then play a Ryder cup against each other for $10 mil, winning team take all. I'd love to see that. Golf needs a shake up, especially to draw younger interest. Outside of the majors and a few other key tournaments - Sawgrass, Scottsdale, Byron Nelson, Tour Championship,etc - I don't really bother to watch or even keep up with it. Seemingly endless Thursday to Sunday stroke play tourneys are tough to take and I don't believe can compete long term for patrons, at least the weekend eyeballs on TV set variety. To some degree, these have been done already. The Wendy's Three Tour Challenge has teams made up of members form the PGA, LPGA and Champions tour. Although they don't play directly against each other, we do get to see men. ladies and seniors all playing the same course under the same conditions. I can't remember the name of it now, but there was also a show that featured popular poker players playing golf for their own money. They were also allowed to break the rules for advantage, like greasing up their wedges. Will be replaced by Fred Ridley. 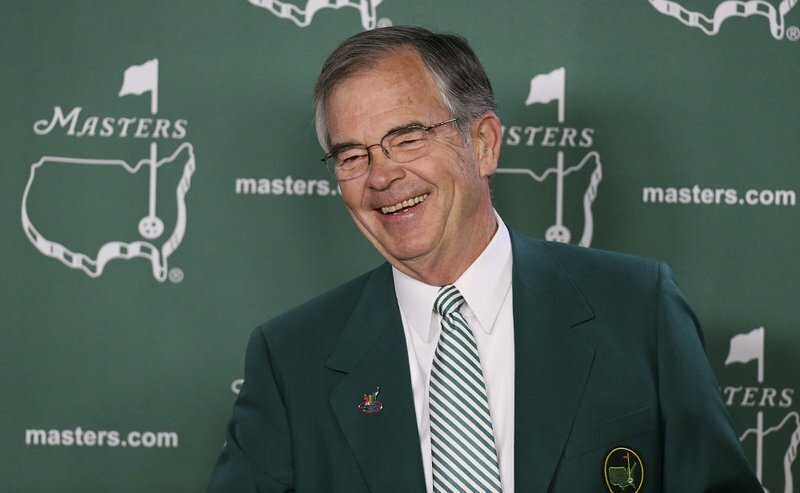 AUGUSTA, Ga. (AP) — Billy Payne ruled more with an open mind than an iron fist. As the sixth chairman of Augusta National Golf Club — and the first with no direct link to co-founders Bobby Jones and Clifford Roberts — he held fast to the heritage and traditions of the club, while looking beyond Magnolia Lane at how the Masters could wield influence around the world for more than one week of the year. “I committed my entire life to both at those respective times,” he said of his work on the Olympics and at Augusta National. That was but a small part of Payne’s influence over the club and the Masters. Wanting to expand the reach of golf, he worked with the R&A to start the Asia-Pacific Amateur, awarding the winner a spot in the Masters with hopes it would create heroes in an emerging market. The second winner was Hideki Matsuyama of Japan, who now is No. 2 in the world. The USGA and R&A then joined with Augusta National’s next venture, the Latin America Amateur. Payne loves to tell the story of how his father would always ask him, “Did you do your best?” Payne says he never felt he could answer affirmatively, which drove him to a relentless work ethic in bringing the Olympics to Atlanta and in his role as Augusta National chairman. “Yes, there’s a striving for perfection,” Payne said. “Striving for perfection is truly an obsession here, in the context of the Masters. We want to be able to provide for our patrons, our fans around the world, the absolute best sporting experience they have ever encountered. And we go to extremes to try to do that. Never get sick of the views playing here !! I shot a 76 & my wife shot 88,..... Pretty happy with those scores. It's better to create something that others criticize than to create nothing & criticize others. Bad Bob, JeffB and Philpug like this. 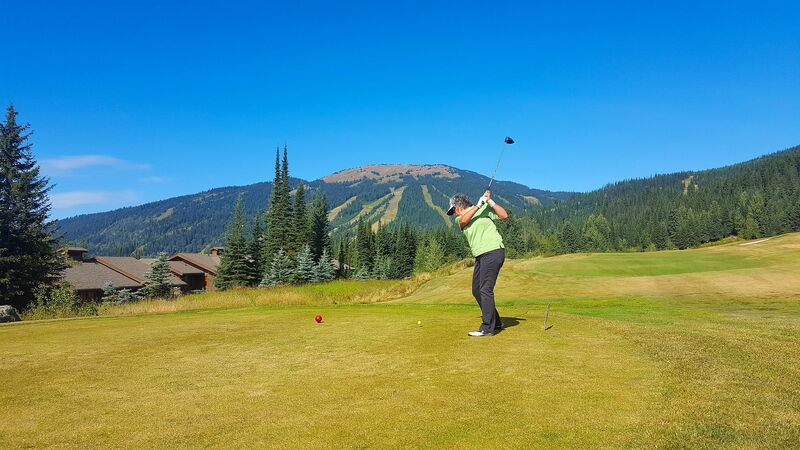 Both of those shots are of my wife,...... She is a lefty & I am a righty. I had a cheeky 74 today & the wife shot 83,........ Life is good. Thoughts on the final round of The Masters anyone? ?